id Software opens up Rage with a huge 35GB mod kit. 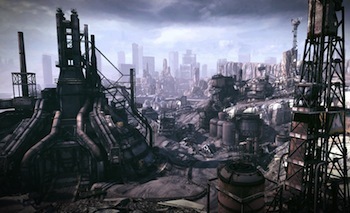 While Rage might have been met with mixed reviews, its technology was universally praised. id Software managed to create a game that years later is still one of the best looking games out there, and runs smoothly on both consoles and PCs (well, after a few good patches). If you've been gnawing your arm off with ideas on how to improve Rage, id's giving you a shot. Today, they've released a massive 35GB dev kit that unpacks the game and lets you put it back together your way, assuming you've got the chops. The core of this new release is idStudio, the "internal tech used to create RAGE". To help you out with these tools, id has graciously included tutorials and actual in-game levels for you to pull apart. To help you with your modding, all of the original art assets are included. Every model, texture, and animation is yours to command, or to dance about. While the recent release of more DLC was unexpected, this was not. id has a history of releasing mod tools for recent games, and opening the source code for their older engines. I'm sure that you creative types out there have spiral-bound notebooks brimming with ideas, but some others might need some extra help. Let me help you out with some freebies: hang gliders, arc wielders, and a real multiplayer mode. Now GO! There's a lot of power in the id Tech5 engine, lets see what it can do! Keep in mind that this kit isn't exactly WYSIWYG. As the FAQ states, "this download is provided on an 'as is' basis only for the technically sophisticated and adventurous!"